This a theatre review of TRAVELLING LIGHT. 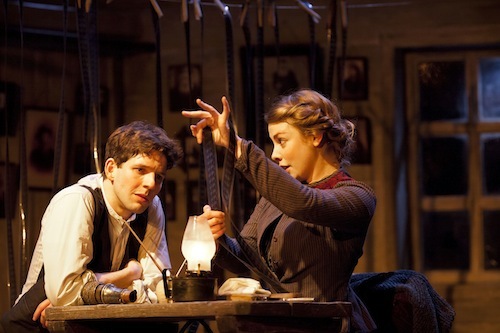 “I will die and you will die, but our movies live for always,” Jacob Bindel (Antony Sher) to Motl Mendl (Damien Molony). 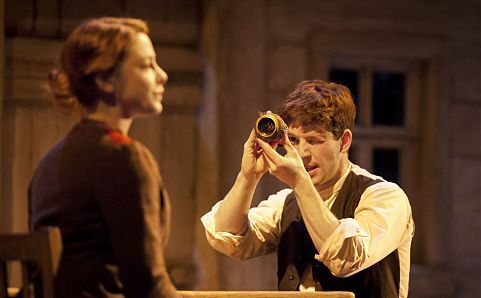 Maurice Montgomery (Paul Jesson) opens the National Theatre’s TRAVELLING LIGHT with a monologue to the audience that includes the line, “I knew movies would be my life.” The set is stunning, a village in Russia with an open plan bungalow dissected, as the arena for this celebration of the birth of film. 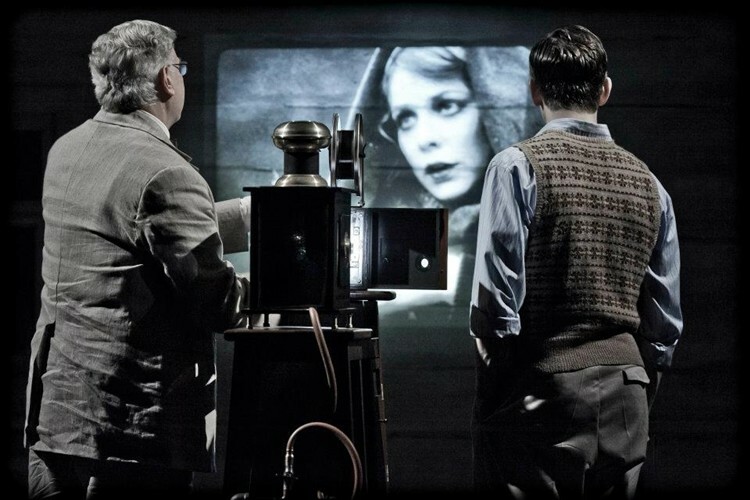 The tone is more Martin Scorsese’s HUGO, though goes far darker, than Michel Hazanavicius’ THE ARTIST. It is the very beginning, when the moving image is pure novelty; where the Lumière brothers have recently shown the famous train coming towards the camera that was rumoured to scare the audience, believing they were in the path. The time of relative technological naivety could have been made into a simplistic hurrah to the new art form; instead it has a sense of quiet foreboding – happiness is precarious. The two Nicholases team up again. Surely a must attend! For anyone who experienced their phenomenal work, adapting Philip Pullman’s HIS DARK MATERIALS into two stage productions, will understand what I’m getting at. Wright scripting and Hytner helming. A bold choice that runs through proceedings is having the lead be so difficult to warm to. Motl is a 22-year-old struggling writer forced back to his village for a brief visit after a seven year absence. He is impatient and abrasive. Motl’s enthusiasm is tainted with selfishness. Stumbling across his deceased father’s camera he shoots footage of the local area, and then, via happenstance, films the local bigwig, Jacob, and his family. 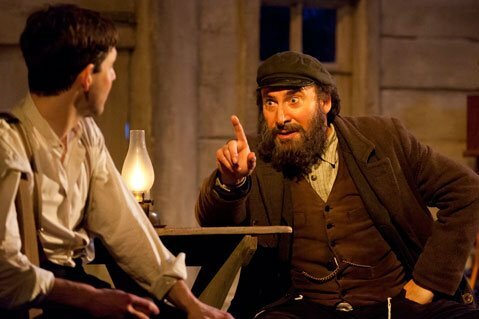 The way Sher plays Jacob is like something out of FIDDLER ON THE ROOF – not always a good thing, but the character grows on you. Like Motl, Jacob is enamoured with this new medium, and makes the former an offer of funding a film on condition he remains in the village. We then witness plenty of asides to the parturition of documentary, editing, narrative, characterisation, etc. – a joy for any film buff. The creative cauldron is bubbling away, portraying, not only the difficulty in making art, but the fact there are no road maps to at least guide. Thrown into the mix is the introduction of beautiful assistant to the director, Anna (Lauren O’Neil). She is extremely bright, and becomes a muse for both Motl and Jacob. The consequences are far-reaching and not predictable. Surprisingly emotional.